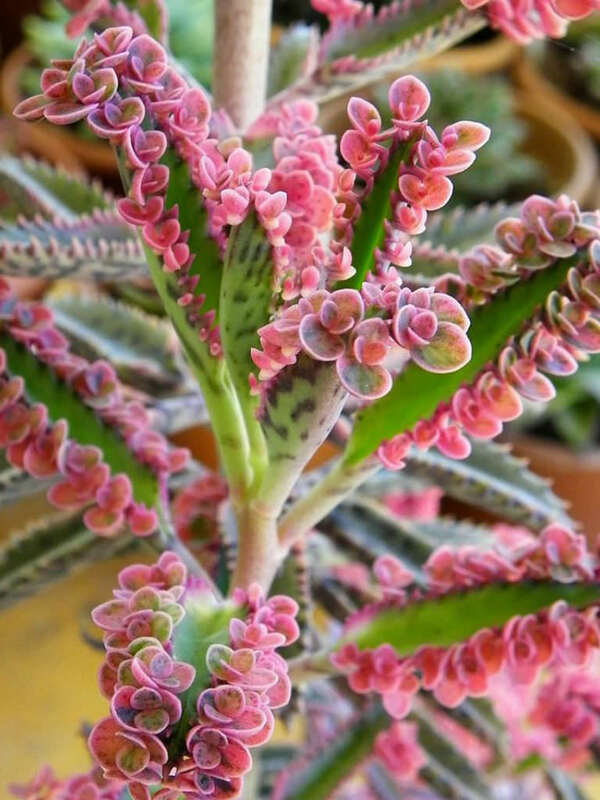 Kalanchoe ‘Pink Butterflies’ is an incredibly colorful variegated form of an old hybrid that was hard to track down its heritage. 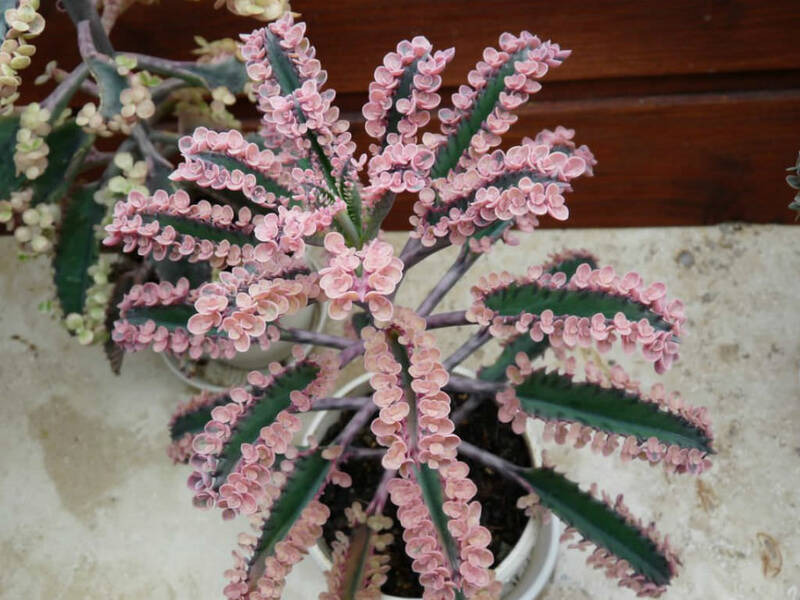 The original hybrid Kalanchoe х houghtonii was a cross between Kalanchoe daigremontiana and Kalanchoe delagoensis. 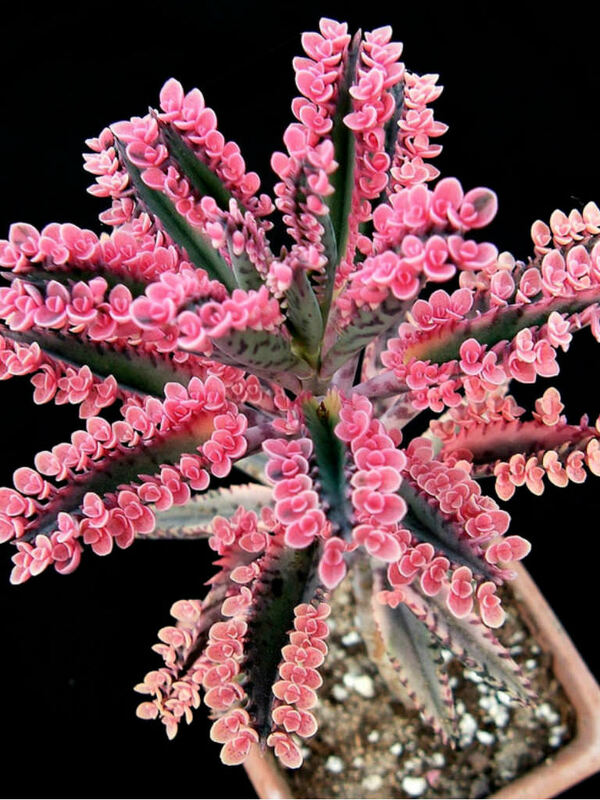 At some point a variegated sport of this hybrid appeared and ‘Pink Butterflies’ came to be. 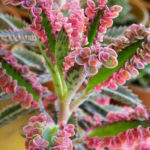 The difference between the parent plant and the ‘Pink Butterflies’ is that both parents of the original hybrid are “viviparous”, producing hundreds of tiny plantlets on their leaves that readily fall from the parents root with little to no effort. 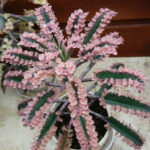 ‘Pink Butterflies’ while still producing copious quantities of tiny pink butterfly-like plantlets on its leaves have lost their ability to root from plantlets. Sometimes a couple might take, but in general, no. 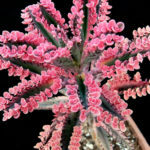 They are pink because they lack chlorophyll. 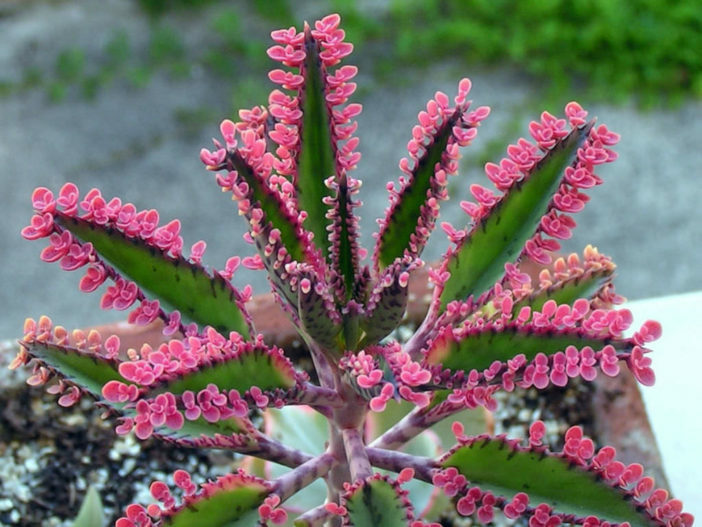 Thus like any of a variegated plant that lacks chlorophyll, they simply die.